Our first aerial pack, and what a cracker. 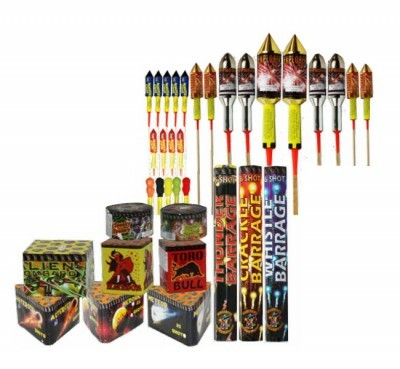 The Alien Bombard, the 56 shot flashing thunder and the huge Explorer Rockets. Expect to pay around £325 if brought separately. Sold out last year so order early please. Great entertainment, great value and great for pubs and clubs. 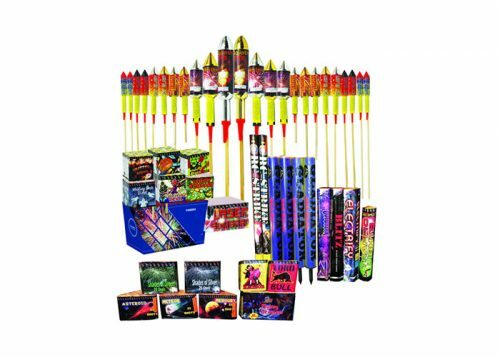 Spectacular aerial action here including the all new KUNG FU FROGS and WHISTLING GHOSTS for noise freaks,, LAZER BOMBARD and GOLIATH ROCKETS for the finale. 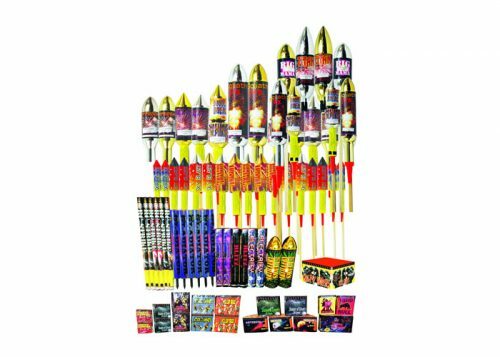 We've got Cheeky Cherries, Shades of Silver and the NEW Killer Scorpions all lighting the sky with breathtaking colours and effects. 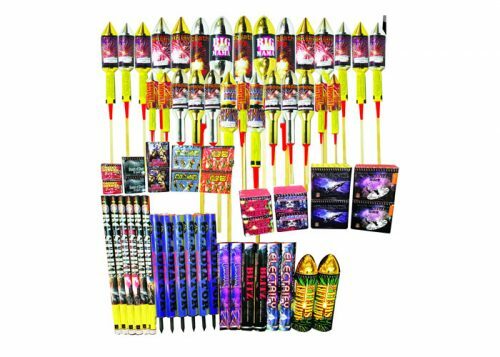 Then we've got Killer bees and huge Goliath Rockets to make a super finalé!!! Another cracking display of serious firepower. Just look at that finale! Pairs of TITAN ROCKETS fill the sky straight after CRAZY HORSES. Your very own star wars! 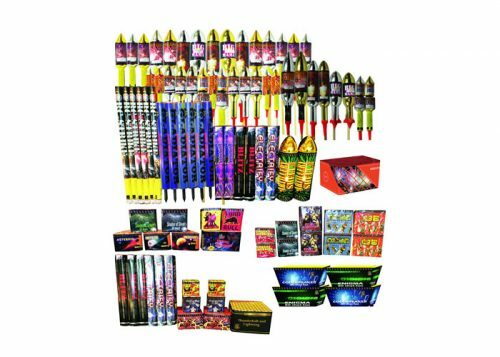 All the new and exciting fireworks are here like THUNDERBOLT AND LIGHTNING AND CODE BREAKER, and don't forget those huge shell rockets The Big Mama for that big finish. Plus you get a RADIATION absolutely free!!! A mighty aerial pack opening with a burst of rockets and ending with that awesome HYPERNOVA and BIG TITAN rockets. 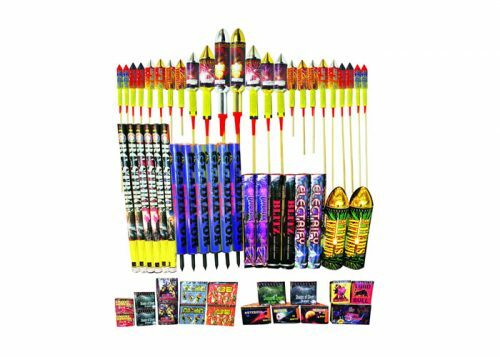 In between there's a tremendous selection of huge and exciting fireworks.